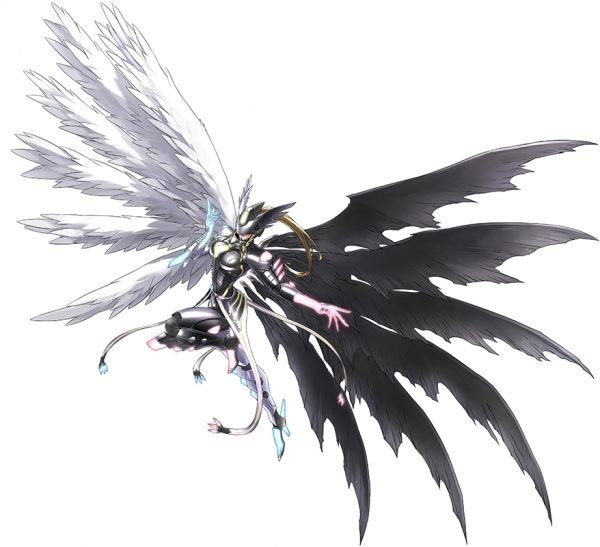 Plus, Mastemon, the new half-angel, half-demon Digimon. 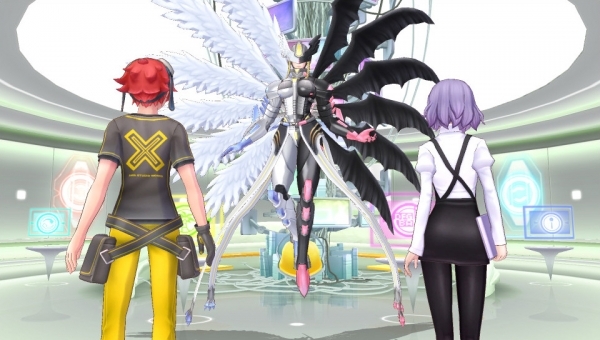 The latest set of Digimon Story: Cyber Sleuth information and screenshots introduces more of the Royal Knights, returning Digimon Story Re:Digitize Decode characters Mirei and Rina, and a collaboration with Tower Records. The threat extends to the real world! The gates of the Real and Cyber Worlds are finally open! The strange happenings occurring in the Real World have an adverse effect on the Cyber World. When the world crisis reaches a climax, the Royal Knights emerge in the Real World from the Digital World. The decisive battles will be taking place in the real world! The Royal Knights show up in the human realm, intent on wiping humanity out! The Royal Knights are split up into two factions as they make their entrance into the human world with a bang. One of them, led by Leopardmon, is intent on erasing humanity to ensure the safety and stability of his own world…. Leopardmon is a highly respected tactician, even within the ranks of the Royal Knights, capable of keeping the others in line despite their disparate beliefs. He’s also effectively the one behind the Paradise Lost Project, pushing its progress ever forward. The type of commander to take to the battlefield himself, in combat, he roams the battlefield in his Leopard Mode. Once his true objectives become apparent, a new battle begins. 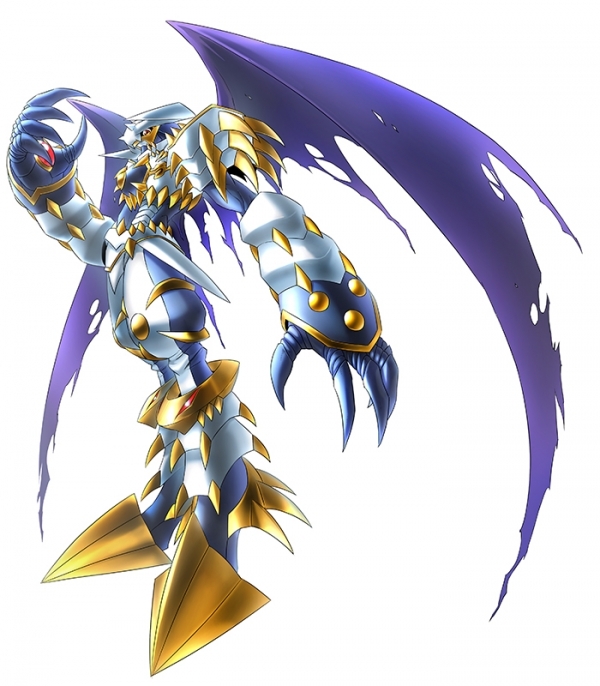 A Digimon with the abilities of a flying dragon, Dynasmon is known for his peerless strength thanks to his dragon-like power and high purity Chrome Digizoid dragon armor. His loyalty is strong, serving absolutely under a lord whose ideas of justice line squarely with his own. Even if who he’s serving could be described as evil, he’s still willing to lay down his life if it means upholding his moral code of justice. Therefore, his spirit of chivalry is strong, and his loyalty and faith, as well as his etiquette, are well respected and as such has joined up with Leopardmon. With its beast-like silhouette, one could describe him as something of a grotesque, strange-looking creature. Boasting high defensive power thanks to his “Red Digizoid” body armor, it’s difficult for even Mega level Digimon to damage Kentaurosmon. With his six legs, he has excellent mobility, and can move at unimaginably high speeds for his size. Although he has a strong distrust in humans, he does not join up with Leopardmon, but instead acts independently. 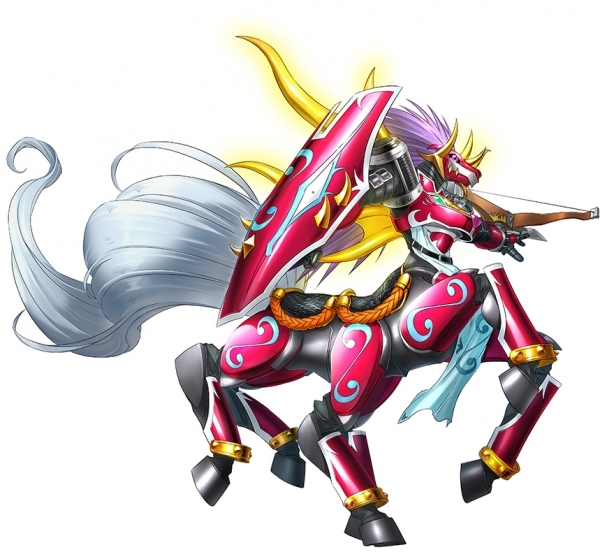 The most civil and courteous Digimon in the Royal Knights, Craniamon is a prideful perfectionist. His mission success rate when it comes to assignments doled out by Yggdrasil are among the best within the Royal Knights, a real contender for first or second place. Blindly one to do as he’s told by Yggdrasil, he goes along with Leopardmon’s Paradise Lost Project. A Digimon that possesses such a tremendous mass of data that it was previously impossible for Examon to be rendered using old digital equipment. It’s only been with new technology that the issue has finally been rectified. 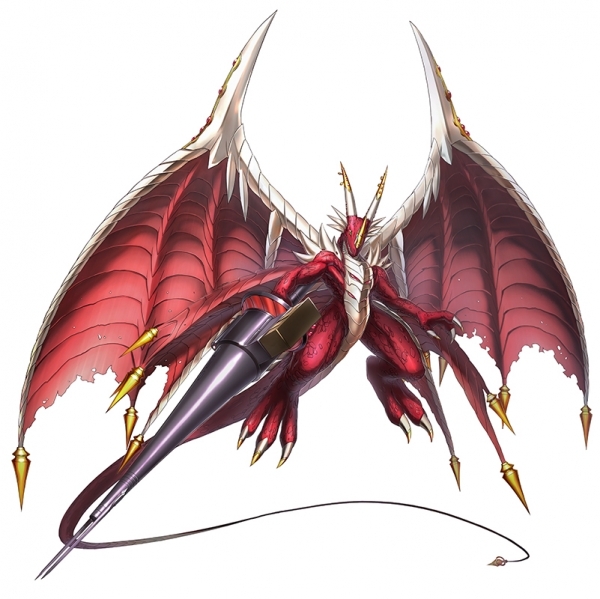 Although he’s a member of the Royal Knights, he’s also the top dragon type Digimon, therefore going by the nickname “Ryutei” (Dragon Emperor). He appears during the Real World invasion with Leopardmon and the other Royal Knights, but after an unexpected ambush, he loses his mind and begins to run wild. 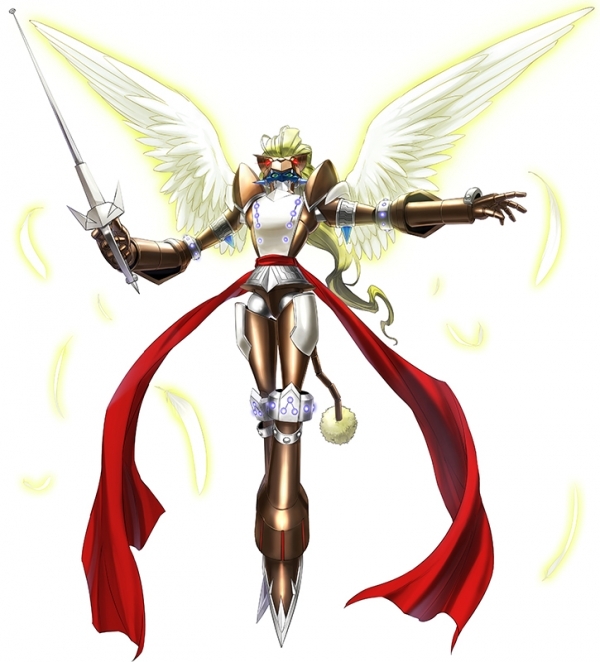 When an unprecedented crisis visits the Digital World, an angel type Digimon and demon type Digimon join hands in an unprecedented DNA digivolution into Mastemon, an angel type Digimon. Mastemon possesses a special power tied to the gates of other Digital Worlds. 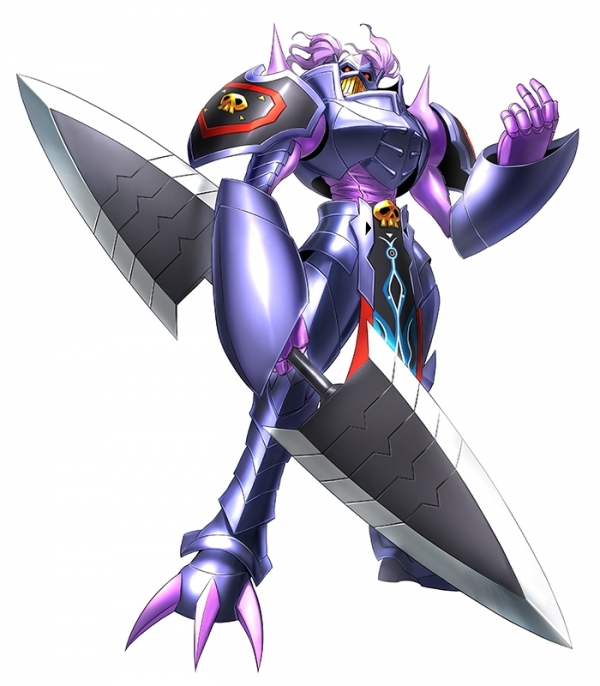 With the ability to freely manipulate both the powers of light and darkness, Mastemon can lend her power to Digimon in a variety of situations and makes for naturally a formidable foe herself. Mirei Mikagura, voiced by Miyuki Sawashiro, is a woman who lost the data of her natural body after an accident and thus becomes able to travel to the Cyber World. Her true home and age are unknown. She has seemingly traveled to various Cyber Worlds (Digital Worlds). She manages the Digi-Lab and provides the protagonist with a variety of knowledge not known to regular Real World inhabitants. She and Kyoko Kuremi appear to be old friends on the surface, but…. 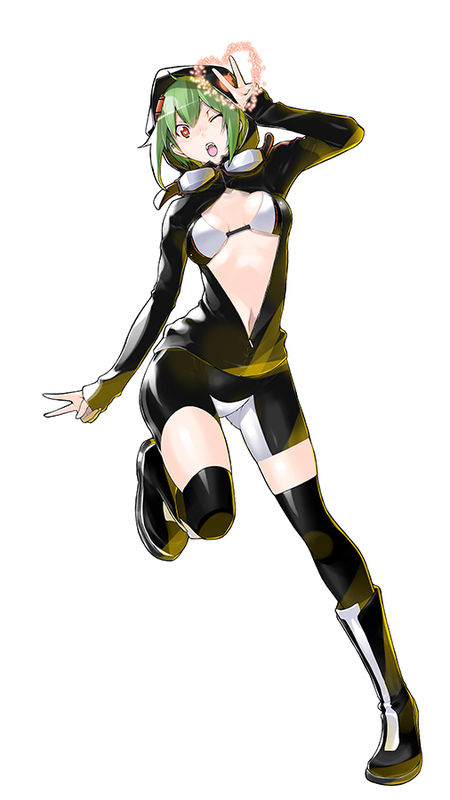 Rina Shinomiya, voiced by Haruka Tomatsu, is a resident of a Real World different from this game’s Real World. She’s apparently gone adventuring in the Digital World with Veemon before, but it’s otherwise unknown how she will affect the story. Veemon, voiced by Aiko Hibi, is Rina’s partner. She calls him Vee-Vee and looks at him as a nice younger brother, while Veemon looks at her as a no-good older sister. At Tower Records in Shibuya, trouble and mischief are frequent occurrences. 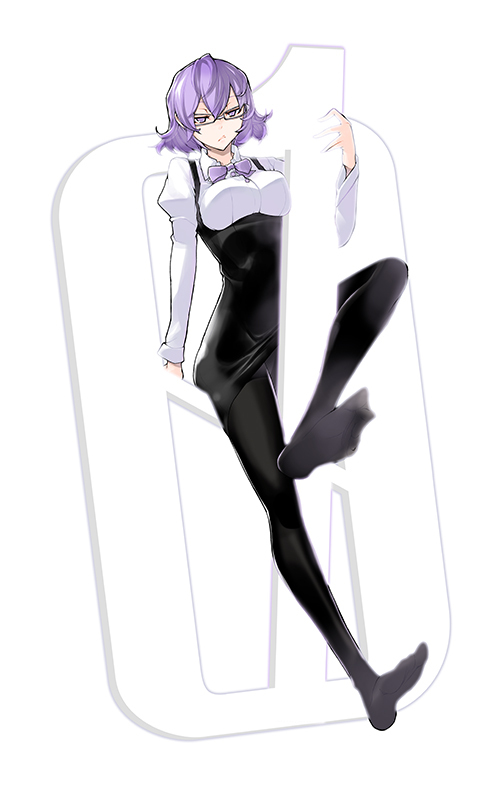 Cyber Sleuths who visit the shop will be greeted by the bright and cheerful Reiko Towa, with whom they can investigate mysterious incidents. 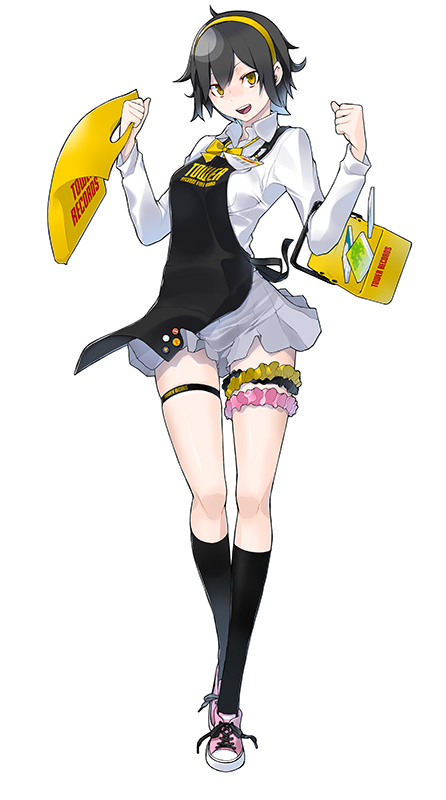 Reiko, voiced by Ayana Taketatsu, is Tower Records’ teenage employee. She has a straight-laced personality, is fashionably dressed, and occasionally changes her hairstyle. She enjoys a wide range of music and anime. Etemon, voiced by Yasunori Masutani and the self-proclaimed “King of Digimon,” will appear in the shop at some point. He has his own song that he has absolute confidence in, and has a scheme to spread it across the human world.